If you’re single and looking for love, it turns out the answer to eternal love could be in a tea cup! Dating site Plenty Of Fish surveyed members of their site and discovered that one-fifth of them said that good tea-making skills was a major turn on – while making a bad cuppa could be the ultimate turn-off. Those surveyed revealed that if someone make them a weak cup of tea, put in too much sugar or brewed it too much, it would put them off their date, while 9% of those surveyed said pouring in the milk before the water would be a deal breaker! 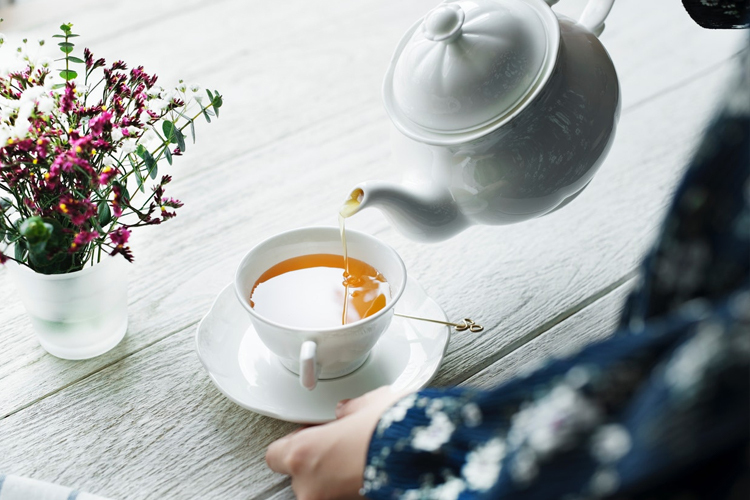 As playwright Arthur Wing Pinero once said ‘Where there’s tea, there’s hope’, so here’s hoping your tea-making skills helps land you that hot date! 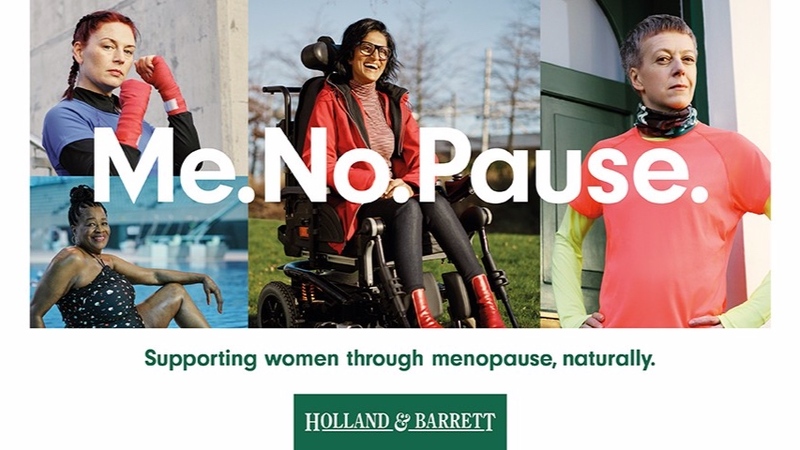 Yasmin revealed that she while she has embraced the changes she’s experienced since hitting her 50s, she doesn’t always feel perfect. Avoiding social media, she says she’s finally accepted the difference in the way she is. ‘I am a bit more optimistic and forgiving of myself. Definitely a bit more crazy. I think I’m in a rush to enjoy life now,’ she said. We say we can only wish to look like her at 54, but we’re so with her when it comes to wearing what you want, regardless of age. She is now calling on on Penny Mordaunt, Minister for Women and Equalities, Jackie Doyle-Price and Steve Brine from the Dept of Health and Social Care to work together with the NHS, the Royal College of General Practitioners and medical schools to make comprehensive menopause training a compulsory part of GP education and to expand menopause services throughout the UK. We couldn’t agree more. Currently, almost 16,000 people have signed the petition, which leads us to hope that Diane will get her wish. Sign the petition here. A beauty salon in Kent has come up with a novel way to encourage women to attend their smear tests. Pinky’s Beauty is offering free bikini waxes to those that are due to attend their smear test. One in four women miss their smear test – with 31% of women saying they would avoid this important test if they hadn’t shaved. Owner of Pinky Beauty, Katie Pickett, launched her own ‘preen for your screen’ campaign after losing six friends to cancer in recent years. ‘We had six ladies within two days say they had booked their smear test, and said “thank you for reminding us,” said Katie. We say well done Katie – anything that encourages women to attend their smear test gets a huge thumbs up from us! Anyone remember the ‘80s show Super Gran, featuring a grandmother with super powers? Well now you can meet the real life super gran. Irish-born Iris Davis, who moved to Florida age 22, witnessed a car being chased by 10 police cars. The thieves ended up crashing in front of her office and began to run away. So what did she do? She pinned them down until the police officers arrived, that’s what! Her super powers are all self-created though as Iris started bodybuilding in later life, entering her first competition age 50. Now 75, she has maintained her weight of 7 stone 12 pounds all these years, and on her last birthday, she held the world record for doing 21 pull-ups in a row. She really is a granny on fire! A nursing home in Ipswich, Suffolk has introduced a new kind of therapy session. Their home is now visited regularly by Alpacas, in a bid to help those residents with dementia. It’s thought that these fluffy animals can help install a feeling of trust and love, which is something those suffering from dementia find difficult with other humans. The owner of the alpacas, Jo Bridge, said the big smiles on the residents’ faces were proof that the therapy did work. 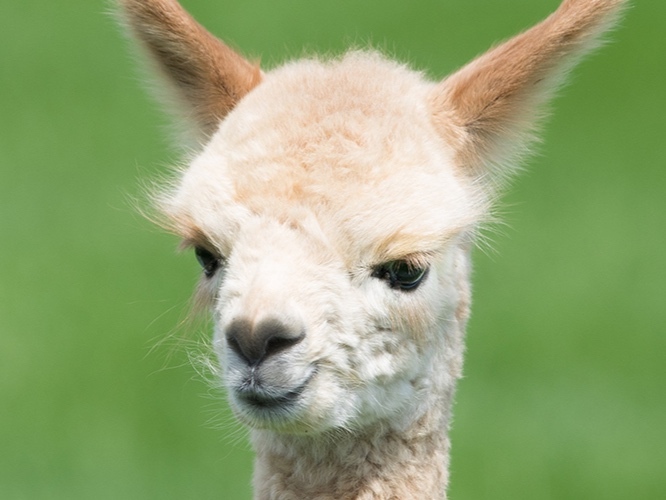 We’d love a visit from some Alpacas – who couldn’t fail to feel better after some time with those furry faces! When it comes to Hollywood, it seems romance is more often rocky than it is right, so it was lovely to hear Emily Blunt pay tribute to her husband at the SAG awards. Emily, who won a SAG award for the best female actor in a supporting role looked surprised and overwhelmed to win the award for her role in The Quiet Place, which was decorated by her husband Jon Krasinski. After announcing her shock and admitting being unprepared, Emily vowed to share the award with her husband. “I am going to share this completely with my husband, John Krasinski, because the entire experience of doing this with you has completely pierced my heart directly. You are a stunning filmmaker. I am so lucky to be with you and to have done this film with you,” she said. Her husband John looked close to tears by her sweet shout-out – let’s hope this movie duo go the distance! Singer and songwriter Bebe Rexha’s recent Grammy nomination has been overshadowed by her announcement that no designer wanted to dress her because of her size. So what size is the singer? A US size 8, which is a English size 10-12! Yes, seriously. After finding out about her nomination, the singer had her team contact designers to dress her for the prestigious award show. “A lot of them do not want to dress me because I'm too big. Literally, I'm too big!” exclaimed Bebe in a video on her Instagram feed. Thankfully she’s not letting it dampen her excitement about the event. Way to go Bebe! Fashion is for everyone and all body shapes should be celebrate. We can’t wait to see what she wears on the big night. At a recent visit to the charity Family Action, the Duchess Of Cambridge, opened up about her true feelings about being a mother. Despite having a live-in nanny, Kate, mother to George, Charlotte and Louis, revealed to volunteers at the charity that she had found motherhood fairly isolating, especially after the early baby days. ‘'It's so hard. You get a lot of support with the baby as a mother particularly in the early days but after the age of one it falls away,' she said, admitting that she had turned to books to help her. 'Everybody experiences the same struggle,' she added. It’s great to see more honesty from those in high profile positions. Motherhood – especially the early days – are super tough and if someone with all that help (and great wardrobe) struggles, it gives hope to all us civilian mums! Carry on with the honesty Duchess, we love it. 50 year old women...don't think so! Before this week most women hadn’t heard of French author Yann Moix. That was until the 50 year-old winner of many prestigious literary awards casually mentioned in an interview in French Marie Claire magazine that he was ‘incapable’ of being attracted to any woman once they reach the age of 50, saying they are “invisible to him”. He explained: “Let’s not exaggerate. That’s not possible. Too old, too old. I prefer younger women’s bodies. That’s all. End of. The body of a 25 year-old woman is extraordinary. The body of a woman of 50 is not extraordinary at all.” I’m sure Halle Berry, Elle Macpherson and every other woman approaching, at, or over 50 is breathing a sigh of relief that this odious little man is steering clear of them - it saves them the effort. Here at TGIOF towers there are lots of things we love about plane travel. The visit to duty free pre-flight, the alcoholic drink (whatever the time of your flight), the chance to sit back and watch a movie… The one thing we don’t particularly look forward to though are the meals. Plane food normally equals pretty tasteless mush. However, some people obviously think differently to us as a new cookbook has been released featuring plane food recipes. Released by United Airlines, it promises a ‘collection of mouth-watering recipes inspired by the United Polaris onboard dining experience’. Hmmm… we’re not sure an overcooked pasta dish followed by cheese and crackers really gets us excited but who are we to judge? If you’d like to get to grips with the recipes, you can buy the book on the United Airlines website! Award season kicked off last night with the 76th Golden Globe awards and it was definitely a year for the Brits. Ben Whishaw, Ben Madden and Christian Bale all picked up awards, but the stand-out winner had to be Olivia Colman, who won for her role in The Favourite. Olivia has won critical acclaim for her portrayal of Queen Anne in the movie, but after her humble and hilarious speech last night, we think she’ll be winning legions of fans across the globe. Starting off with a very British ‘cor blimey’ Olivia promised not to cry as “my entire table will point and laugh at me as I've been crying all evening." She thanked the director Yorgos Lanthimos and her co-stars in her own unique way: "Yorgos, thank you the most muchly and ma bitchess, Emma and Rachel, thank you, every second of working with you was such a joy and I was so sad that it finished. She ended her speech with a shout out to her husband, kids and the sandwiches provided on the night – that’s our kind of girl! The best Dancing on Ice ever? There was nothing cold about the launch of ITV’s Sunday night ice skating spectacular, as celebrities took to the rink on the latest episode of Dancing On Ice. From Corrie’s Jane Danson’s sweetly tentative twirls through to Gemma ‘the GC’ Collins’ gold and sequinned slippery strut - we knew we were in for something fabulous. Dancing on Ice has been on our screens for over a decade, and like many other juggernaut shows one wonders how ‘this one’ could possibly be bigger and better than the one before? That question was well and truly answered in the rain-soaked finale by the skating professionals, led by Dan Whiston who has been with the show from day one. With all the drama of Cirque du Soleil and the theatre of the West End, Dan and his team expertly sliced their way to living room standing ovations across the country. What a show, and that was just for starters. Bring on next week! Love at first sight? We’ve been long used to that one; romantic novels and films have made a fortune out of the idea forever. Getting married at first sight? Yup, totally across that one. Heading down the aisle bright eyed and filled to bursting with hope, the latest couple to take this leap of faith were matched online on December 15th, first spoke on the 22nd and met for the first time on Christmas Eve at the check-in queue Gatwick Airport - not decked out in Christmas jumpers, but in wedding dress and morning suit - ready to board a jet to Las Vegas. Merry Christmas Sarah and Paul Edwards, here’s hoping this is one Christmas gift that lasts a lifetime as marriage doesn’t come with a money back guarantee. It’s a pale, cream-coloured bar of soap, non-descript other than its instantly recognisable smell and sticker. Ah, Imperial Leather, the soap that has adorned many a bathroom for generations has finally revealed what that sticker is for. And, no it’s not just for advertising it’s wares. Speaking to the MailOnline an Imperial Leather put a nation out of its misery: “The sticker on the top is for a long lasting bar and preventing mushiness. When the soap is used, the sticker will make and keep the top surface, where the sticker is on, concave. After use, the soap is supposed to be upside down. The concave surface will help water run out from the bar and minimise the touching surface on a soap tray.” Who knew? One Elf of a wedding!